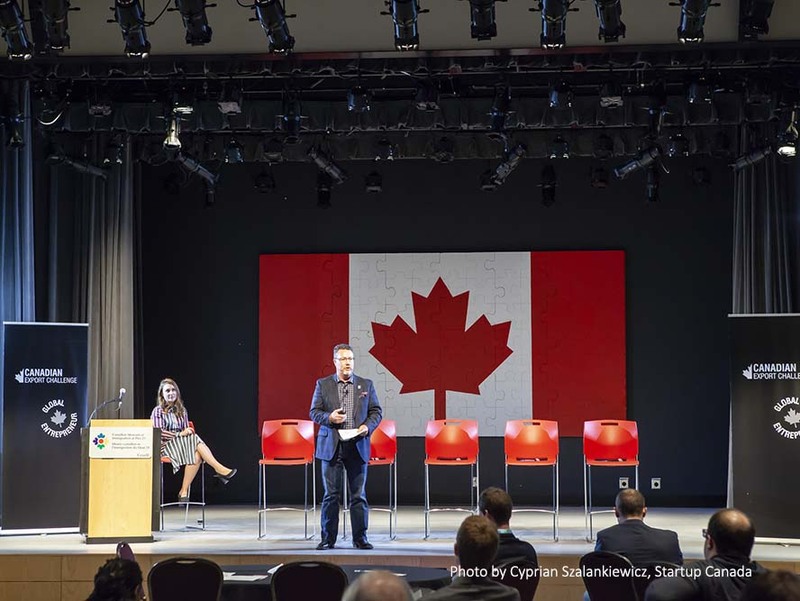 Over the months of September and October in 2018, The Forum for International Trade Training (FITT) and Export Development Canada (EDC) partnered on a series of presentations delivered at Startup Canada’s Canadian Export Challenge. Thousands of Canadian small and medium sized businesses attended the Canadian Export Challenge in six locations across Canada to pitch their products and services with the chance of winning $10,000 in cash and a variety of consulting services to help them expand into global markets. It was a fascinating view into the world of ‘startup exporters’ and reinforced the power and value of knowledge development, especially across the spectrum of international trade. The companies participating in the Canadian Export Challenge were all impressive businesses whose owners are exceptionally talented. Yet, while they are experts at doing what they do, there was a noticeable lack of knowledge regarding what it takes to succeed in bringing these same products and services to global markets. 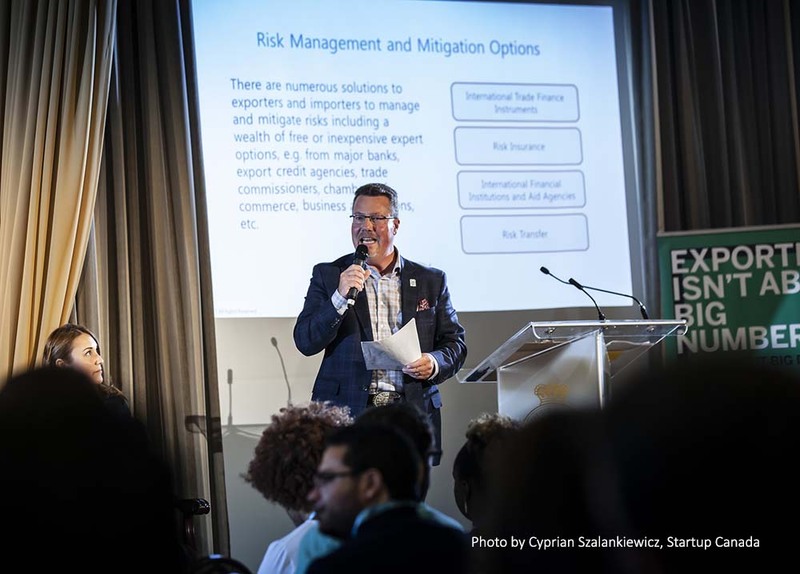 FITT and EDC delivered a Trade Finance presentation to the Canadian Export Challenge that focused on how companies can protect themselves and their bottom line by minimizing risk and making sure they get paid. Successful exporters are generally already in business and generating sales within their initial target markets (domestic or foreign); essentially, they’ve got it going on. Their products/services are unique, competitively priced, they have excess capacity, are willing to invest resources on market diversification activities and bring a level of competence that will serve them in cross-cultural business activities. That’s not to say a company can’t start exporting as its first priority; there just needs to be better planning up front in that case. However, knowledge of international trade activities is key. Understanding market conditions, foreign exchange rates, global value chains, laws and regulations and trade finance options are just some of the areas of knowledge needed when companies go global. It can seem daunting, but listen up – you aren’t the first person who has exported and there are plenty of people and organizations who can help you along the way. FITT is one of the first you need to know about. But more on that in a moment. Going global requires preparation, planning, and arming yourself with all the right information. In our presentation to these startup exporters we emphasized the need to have sound business and financial plans that specifically address exporting. One valuable tool you can use is an export costing worksheet to help you determine pricing. 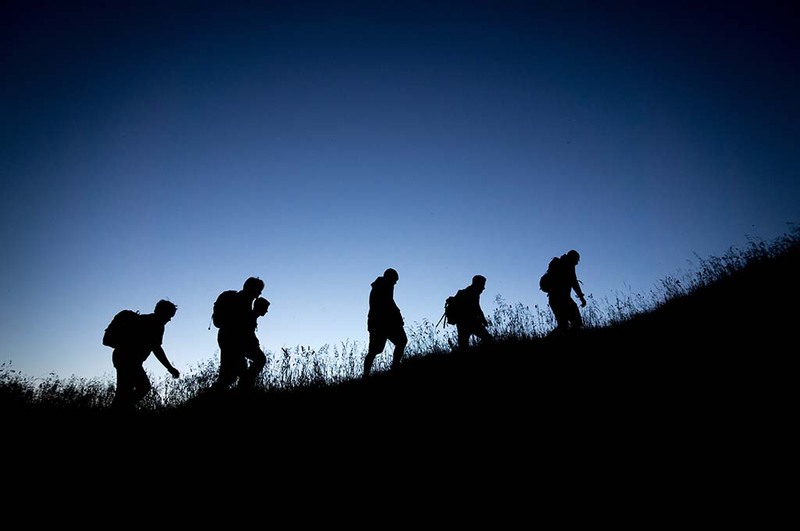 Preparing for any global venture is also going to demand that you pay attention to risk management, from physical risks like natural disasters, as well as legal, commercial, political and financial risk. Get prepared with all the risk analysis and mitigation strategies that your business needs – FITT and EDC both offer a wealth of knowledge, tools and resources. We then moved into the crucial area of negotiating international contracts and making sure you cover your bases. 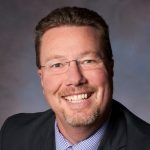 Without question you are going to want to have a lawyer involved in this stage, but as a starting point have you built out your pricing, costing for logistics, considered how you will handle returns and what about using the right Incoterms® to help determine when ownership is transferred to your buyer? Don’t know what any of that means? Well guess who’s got you covered – FITT once again. 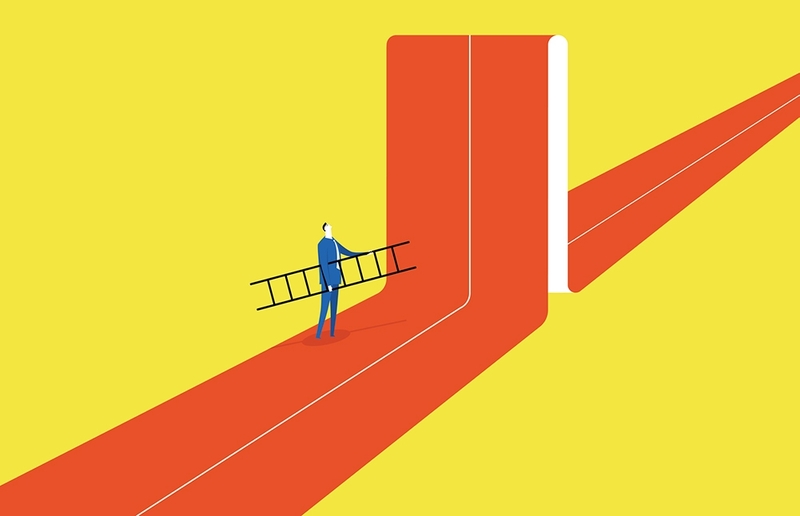 The value of knowledge gained from experience wasn’t lost on these startups. They had solid takeaways from attending our presentation and continued to ask a lot of questions, recognizing that being better informed increases their abilities to succeed and take better advantage of the opportunities that will come their way. As I always say, experience without knowledge is an expensive teacher. Whether you’re looking to start or grow your business, invest in professional development for your employees or build a stronger international business team, there’s no doubt that training, skills and know-how are the foundation. Are you interested in learning more about what it takes to be successful in global trade? Maybe you’ve already decided that going global is what you see in the future for your business, but you may be grappling with whether you are trade-ready or how to start. As the recognized leader in Canada for global business training FITT is already in your corner ready to help your company grow and expand into new markets. You aren’t the first exporter. But you can learn from the best. Get the know-how you need to grow anywhere. Learn how to overcome the barriers to trade for your business or get insights on navigating the complexities of today’s trade environment. EDC-FITT international trade training includes courses, workshops and resources that help professionals build their international business skills, and their careers. The key areas of global business training include the Feasibility of International Trade (assessing your ability and readiness), International Market Entry Strategies, Global Value Chain (logistics and so much more), International Trade Finance, Products and Services for a Global Market (understanding how to take your products/services global) and International Sales and Marketing. 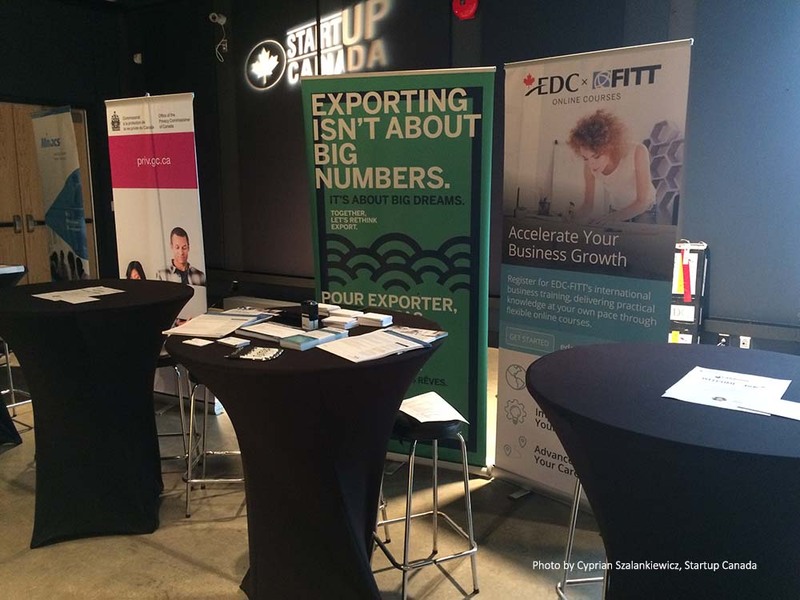 In case you missed it, you can see more about Startup Canada’s Canadian Export Challenge here. Interested in our presentation? Check out the video and learn about how companies can protect themselves and their bottom line by minimizing risk and making sure they get paid.